We think that the Tithi of Samrat Ashoka Birth may be equally auspicious like Asthami , Dashmi , Purnima . Ashoka accepted Buddha Dharm on Vijaya Dashmi , and as Bodhisattava must have attained Mahaparinirvan on Purnima . Since we have no written record showing the Birth Tithi of Ashoka , we think , Budddhist of World may agree to Chaitra Shudha Asthami as Birth Tithi of Samrat Ashoka . It means it should fall on 27 th March , 2015 in this year . Similarly Samarat Ashoka must have attained Nirvan on Ashadh Purnima as such a benevolent Samarat who cared every life , animal and human must have rested in peace on such Purnima Day only . 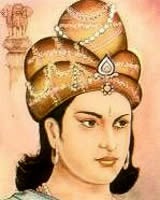 Samrat Ashoka was Born on Chaitra Shudha Asthami which falls on 27 th day of March , 2015 this year . Samarat Ashoka Maha Parinirvan Tithi on Aashadha Purnima which falls 31 July , 2015 this year . We Wish Best on This Chaitra Shudha Asthami , 27 th March , 2015 as Birth Day of Samarat Ashoka . t Buddhist after Lord Buddha must have born on some auspicious day and we think his birth was in BC must have been in Tithi and not in date .